In my article 4 Tips for Finding a Cheap Flat in Berlin, tip number 4 was: Get a WBS. 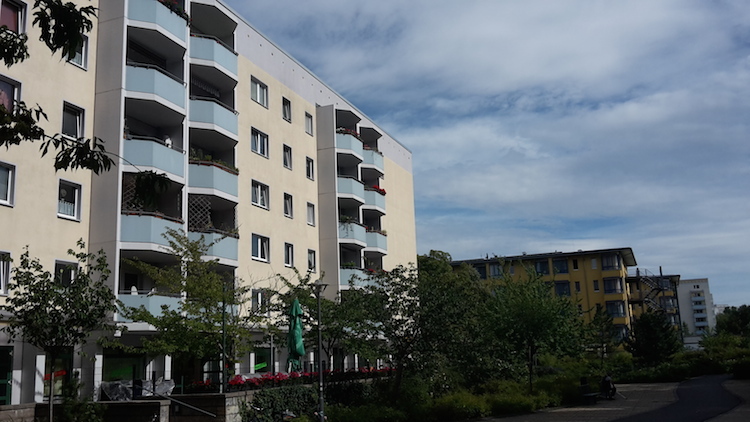 WBS stands for Wohnberechtigungsschein (accommodation entitlement certificate). In short, it confirms that you are poor. And in Germany, poor people can get flats subsidised by the government. It means that the government in some way gave money to the landlords (for instance, when building or renovating their house), and now they make them rent it out cheaper to poor people. So having a WBS means access to many cheap flats, some of them are even in the fancy, central districts. And applying for a WBS is free of charge. Bear in mind though that a WBS is limited to flats with one room per person. So a single person will only get a WBS for 1-room-flats, a couple will get one for 2-room-flats. It is said though that several people sometimes can put together their WBS and for instance get a 4-room-flat if they are 4 people. In this article, I will cover if you are entitled to a WBS and how to apply for it. I will to explain as best as I can, but you will probably need Google Translate or even a German speaker when filling out the forms or asking questions to the authorities. If you are stuck, you can call the city service hotline under 030115 and ask for an English-speaking operator (see the last point of the article). As another starting point, also check the WBS portal of berlin.de. The second criteria is your income. For a single person, it must be less than 16.800 EUR gross per year. For married people and families, different calculations apply here, check this table on Wikipedia. But don’t take the numbers as set-in-stone: a lot of other calculations apply that can “decrease” the evaluated income for you. So try anyway, check maybe also this online calculator where you can test for various configurations. Again, Google Translate might help here. Get the necessary forms on Berlin’s WBS portal. There are lot but don’t worry, you will only need some of them. Einkommenserklärung (declaration of income) – state here your income. Add some proof, for instance a copy of your last tax bill, your scholarship etc. Einkommensbescheinigung (declaration of income) – in case you have a regular job here in Germany, this must be filled out by your employer. If you are unsure whether you have all the needed papers, don’t worry. Still apply, and if something is missing they will send you a letter and tell you what they need additionally. You have to apply in written form at the Wohnungsamt (housing authority) of your district. Usually, you can leave the application at the Bürgeramt (citizen center). If you are already registered in Berlin (have an Anmeldung here), then it’s the one of your district. otherwise, pick any district. It is said that Pankow and Friedrichshain/Kreuzberg are rather slow. So better pick one of the outer districts. If you know your district, find the addresses of relevant offices at the end of the portal site (scroll down). You can send the application there by mail. But if you have some time, I’d prefer to go there in person with all your papers and try to ask an employee to look over them to already check if something is missing. This way, you can win some time instead of waiting for their letter. Ant then it’s time to wait! It is said that granting a WBS takes 2 to 6 weeks.